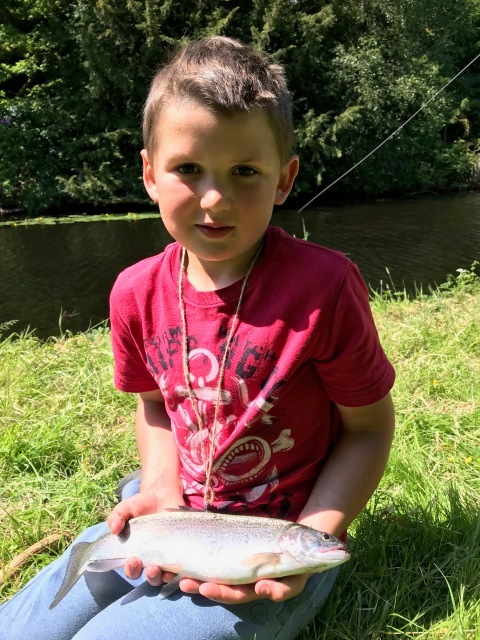 Thirteen members of the Nith Young Anglers Club along with parents turned up for the fly fishing day on the river Nith and Blackwood loch. 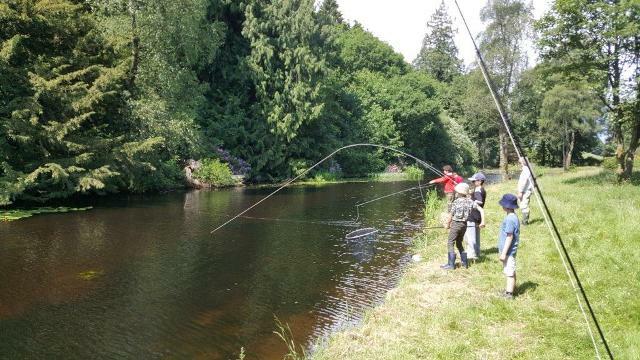 The group were split with four on the river and the rest to fish the loch. 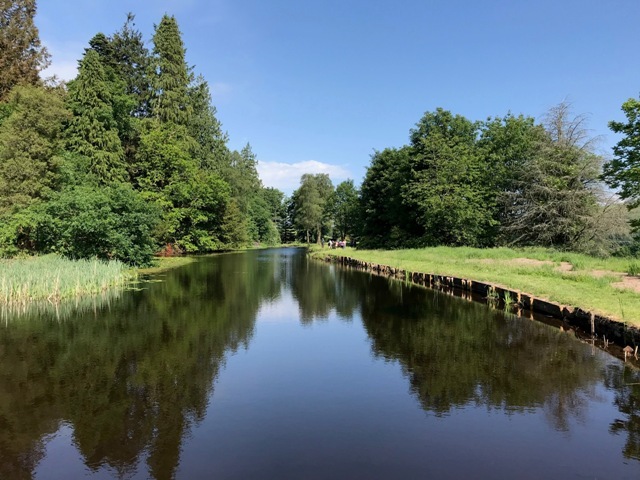 The newly refurbished Blackwood loch, a fine example of what can be achieved with a little hard work and good management. The weather in the morning was fine, no wind and bright. 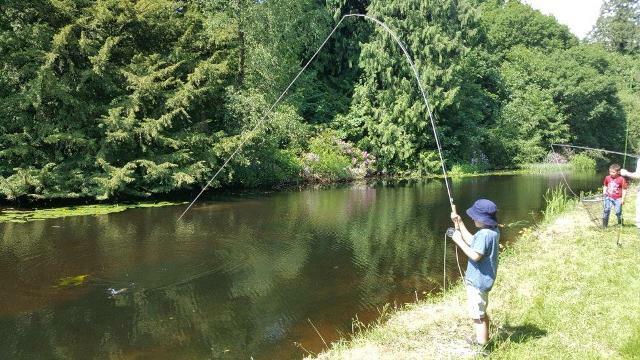 On the river Nith young Stuart had his reel stripped on two occasions fishing a small black nymph by very large sea trout that were residing in a fast run in the low water. Meanwhile on the loch… …it was all action! 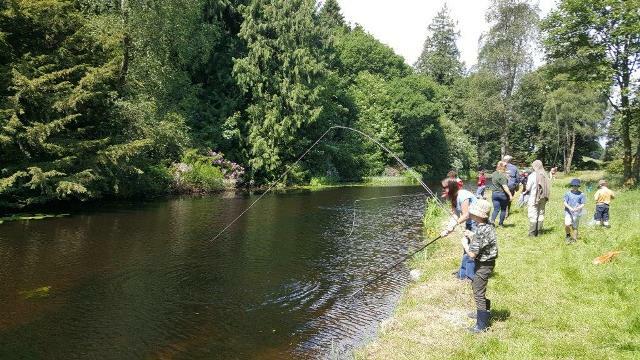 …with everyone managing to catch a fish or two. At lunchtime, the groups were about to swap over when the thunder clouds began to gather. So those that were on the river in the morning went to the loch and the river session was abandoned for the others due to the incoming weather. 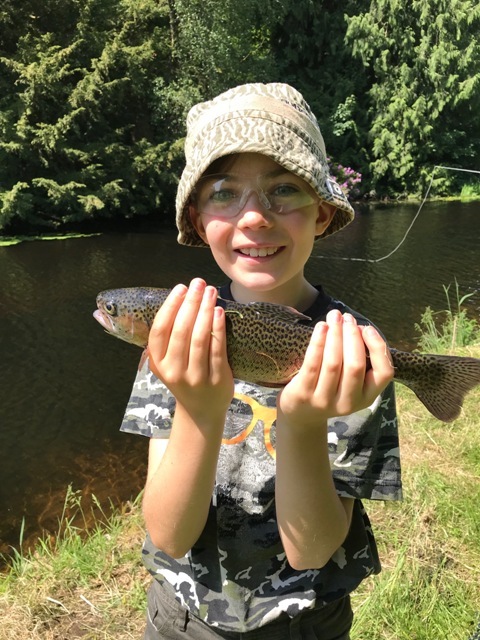 Around 2pm the heavens opened and that was that, a good day was had by all, fish playing skills were demonstrated and put into practice until rain stopped play! 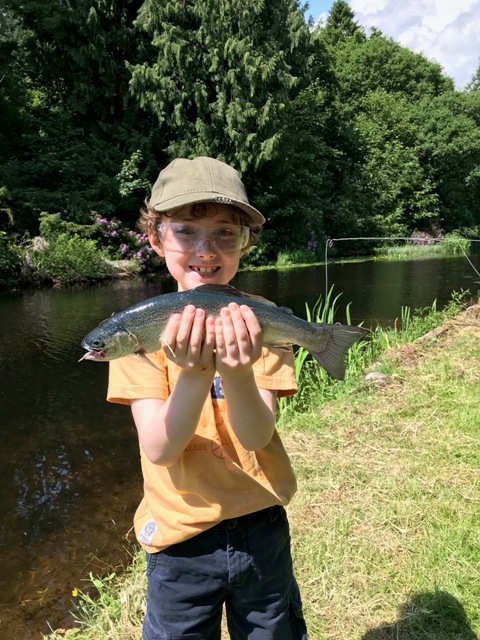 This entry was posted in Borderlines, education, environment, fly fishing, River Nith, Scotland, youth and tagged anglingforall, Borderlines, education, environment, family, Fly fishing, funding, Nith Trust, outdoors, River Nith, youth on 15th June 2018 by Glyn Freeman.